There was a reference to Rasmussen and what he had seen here. In this case, it was suggested that Rasmussen had seen four bodies and Vegh did say that he, Rasmussen "... had first hand knowledge of four beings and their craft..." Here Rasmussen is described as the Operations Officer for the 715th Bomb Squadron which was part of the 509th. 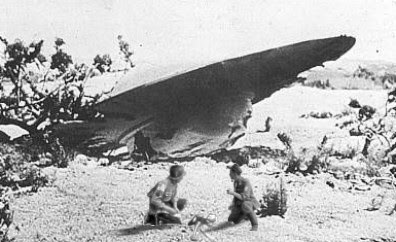 The referenced sources here are both UFO Crash at Roswell and Witness to Roswell. In Witness to Roswell he is described as a flight operations officer and in UFO Crash at Roswell as an Operations Officer (and unfortunately the organization is misidentified as the 718th). I have since located some records that showed he was assigned to an aircrew as a radar officer for Operation Crossroads. That information, which does not relate to Roswell, can be seen here.